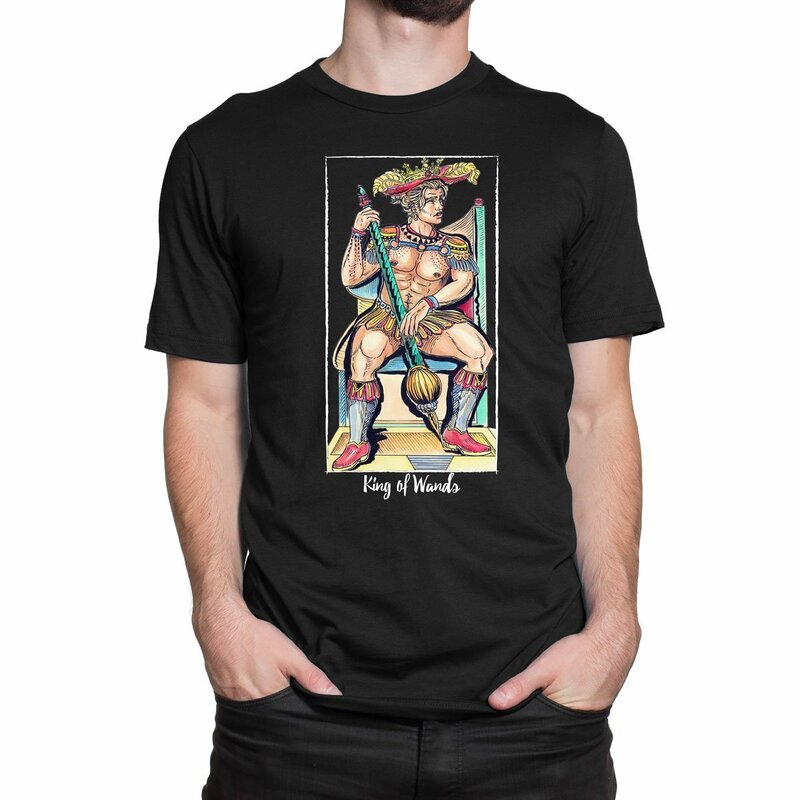 This premium quality t-shirt will keep size and color after many washings. 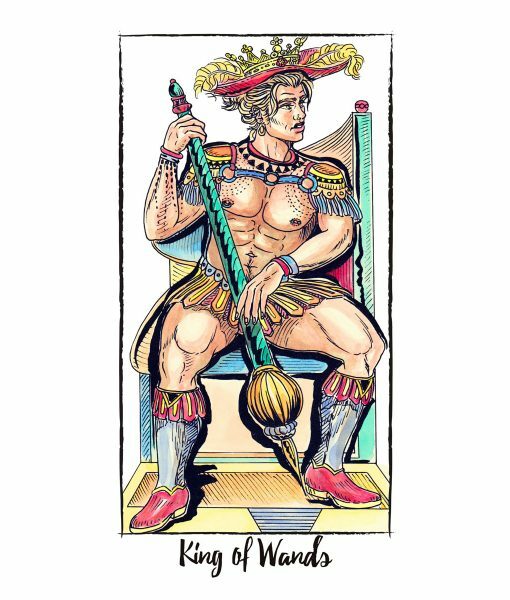 The King of Wands represents pure fire energy. 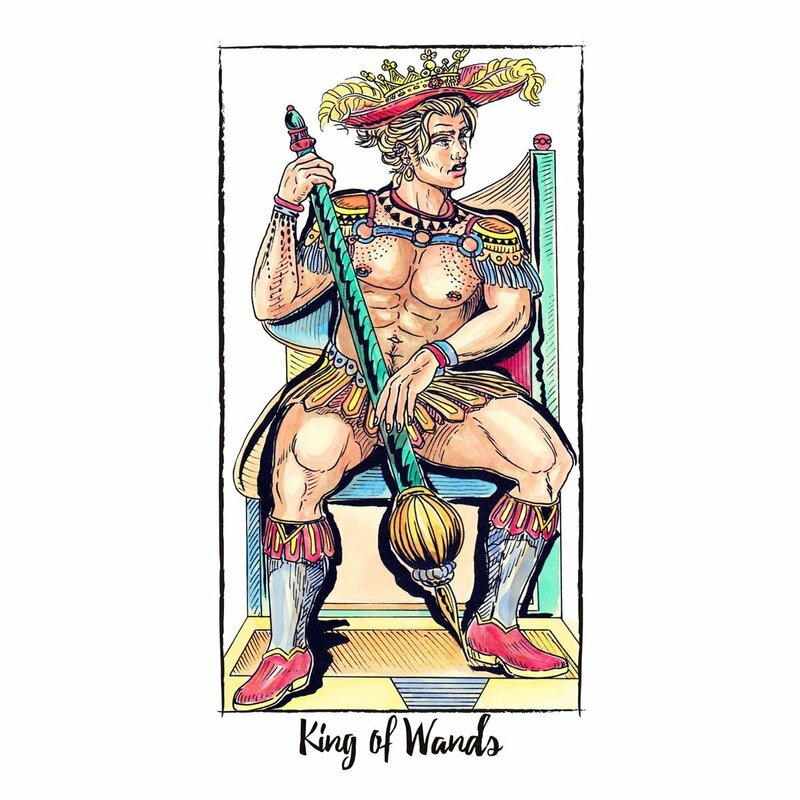 Unlike the other Wands court cards, he is not so interesting in actual creation and creativity, or in dreaming up ideas and implementing them himself. 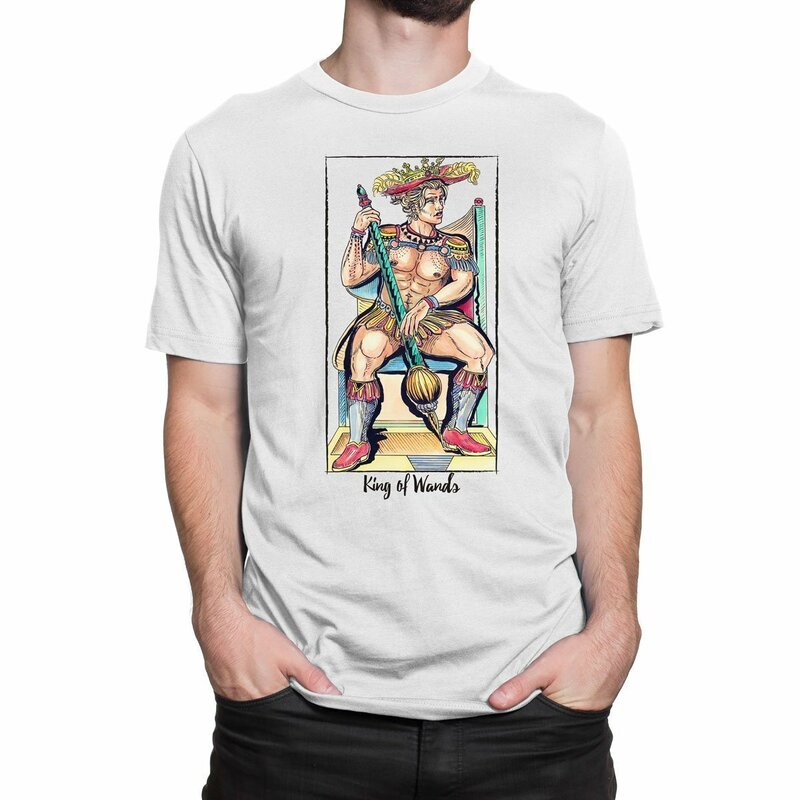 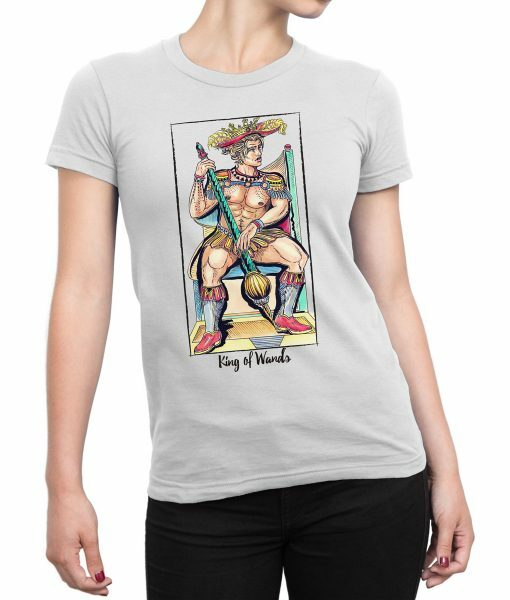 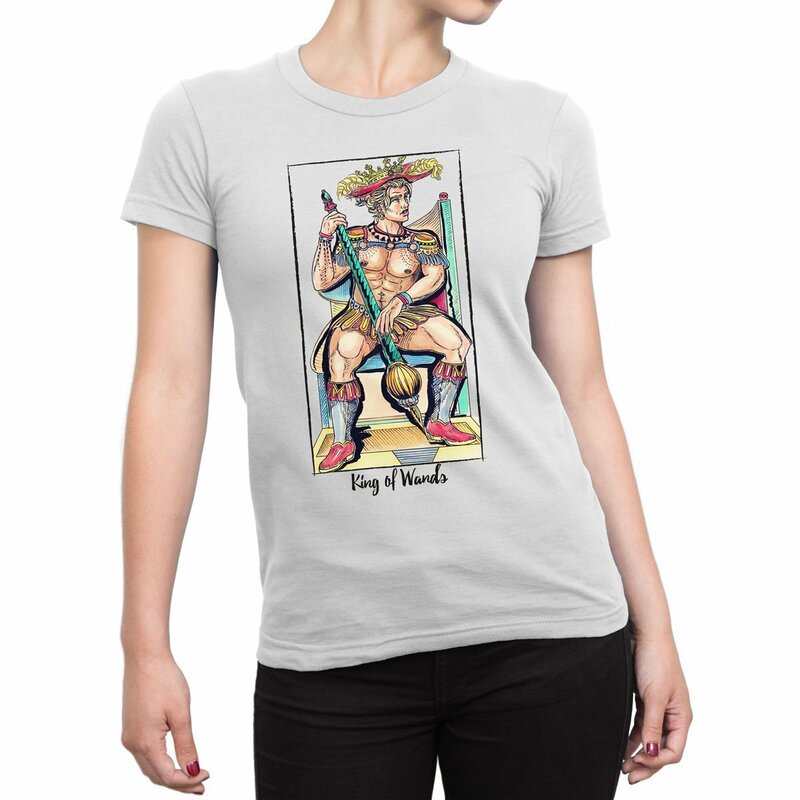 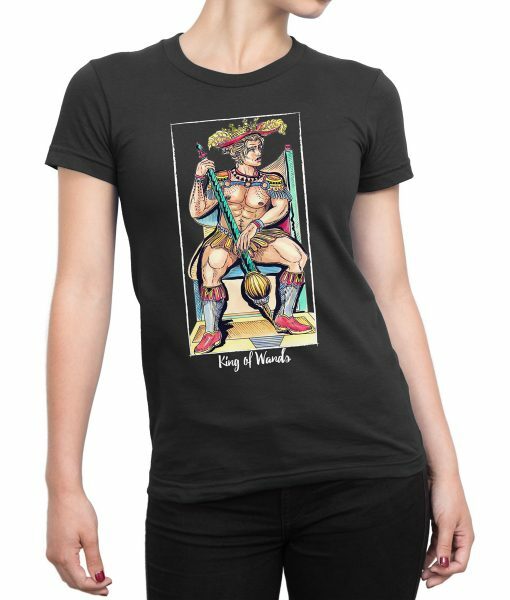 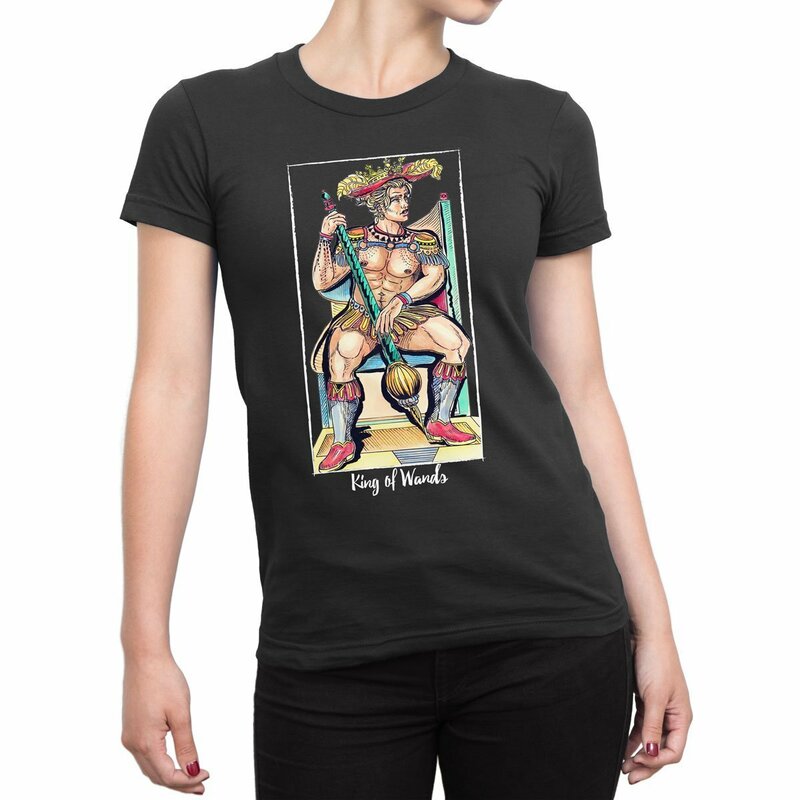 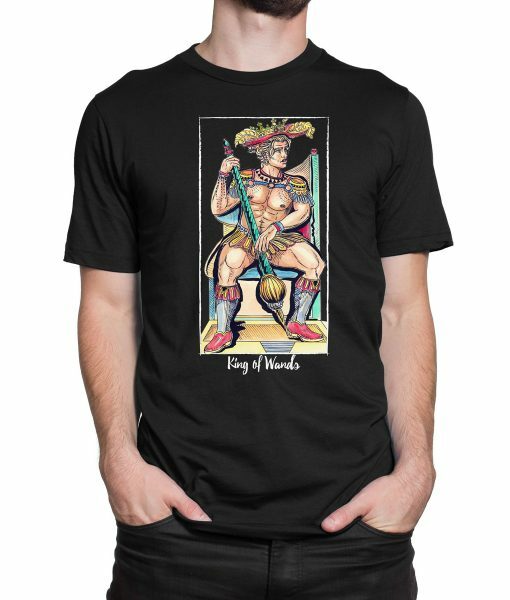 The King of Wands signifies wise, open, positive, adventurous masculine energy.